The Bible speaks of covenants (Gen. 6:18; Ex. 6:4-5; Jer. 31:31-33, etc.) and dispensations (Eph. 1:10; 3:2, 9; Col. 1:25, etc.). Since the Reformation, the two major systems of conservative Protestant theology have developed around covenants and dispensations. It will be interesting to launch an investigation into these two important biblical items. 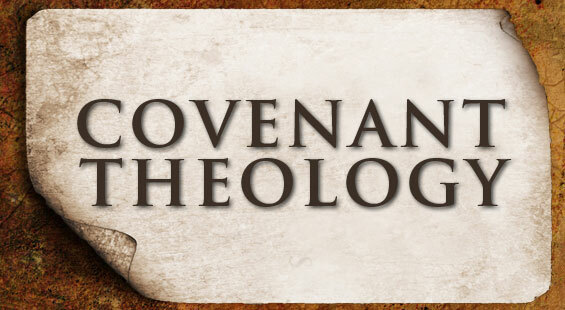 I want to examine the biblical use of covenants and dispensations and also look at the systems of theology known as covenant theology and dispensationalism. Covenant theology has many wonderful aspects to it, like its emphasis upon the grace of God. However, covenant theology is not the product of an inductive study of the Bible. Even though a great deal has been written on the subject of covenant theology by its advocates (usually within the realm of Reformed Theology), I have never found anyone who develops their view of this subject directly from an inductive study of Scripture. I have never found anyone who points to specific Bible passages and says, "This teaches the covenant of works or the covenant of grace." Instead, the case for covenant theology is normally developed from abstract assumptions made by theologians about how God has conceived His plan for salvation to be worked out in history. One covenant theologian says, "that only (historic) Reformed theology provides the system of doctrine necessary for an exposition of the divine covenants which is faithful to the teaching of Scripture." Notice he doesn't say that the Bible teaches covenant theology, but rather that it "provides the system of doctrine" that one needs to approach Scripture with in order to properly understand its teaching on this subject. This is a tacit admission that covenant theology is not really taught in the Bible. The subject of covenants in the Bible is well established, but not the system we know as covenant theology. In the Bible, covenants deal with relationship, while dispensations relate to history. Thus, covenant theology imposes a contrived framework upon the teachings of Scripture relating to God's plan for history, as revealed through progressive revelation and the dispensations. An example of how covenant theology can lead to a distortion of what the Bible actually teaches is found in the way that they normally deal with issues relating to national Israel. Since covenant, specifically the covenant of grace provides the organizing structure for their view of history, everything must be seen in terms of such a paradigm. Since their goal for history is personal salvation within the current age and since this age is the climax of history, then there can be no future for national Israel. The details of Old Testament prophecy, nowhere contradicted in the New Testament, speak of a future time of blessing for national Israel when she returns to the Lord in obedience. Yet these Old Testament prophetic details are interpreted as merely allegorical illustrations or types of personal salvation for the New Testament believer. Covenant theology's presupposition of theological order requires a certain kind of interpretive approach (due to its theological reductionism) and isolates theological order from historical development. When the Old Testament passages are read historically, instead of through the soteriological lens of covenant theology, then they clearly speak of a future time of national Israel's blessing as head over all the nations. The biblical role of covenant is not to provide a framework for biblical history, instead, it is to define relationships between God and mankind that He is working out through a diverse plan for history as expressed through the various dispensations. Covenant theology distorts both the covenants and God's revealed plan for history. The Royal Grant Treaty (unconditional)—A promissory covenant that arose out of a king's desire to reward a loyal servant. The Suzerain-Vassal Treaty (conditional)—Bound an inferior vassal to a superior suzerain and was binding only on the one who swore. The Parity Treaty—Bound two equal parties in a relationship and provided conditions as stipulated by the participants. George N. M. Collins, "Covenant Theology" in Everett F. Harrison, Baker's Dictionary of Theology , (Grand Rapids: Baker Book House, 1960), p. 144. Ryrie, Dispensationalism , p. 183. Karlberg, Covenant Theology , p. 11. Kenneth L. Gentry, Jr., He Shall Have Dominion: A Postmillennial Eschatology (Tyler, Texas: Institute for Christian Economics, 1992), pp. 107-08. Renald E. Showers, There Really is a Difference: A Comparison of Covenant and Dispensational Theology (Bellmawr, NJ: Friends of Israel Gospel Ministry, 1990), p. 8. Gentry, Dominion , p. 107.